Panelists share their experiences living and working in Atikameksheng Anishnabek and Sudbury. 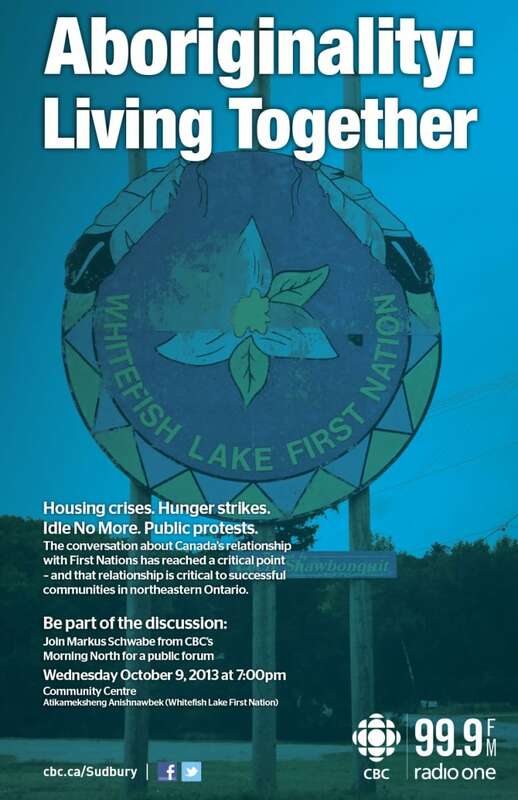 CBC Radio Morning North host Markus Schwabe will moderate a panel discussion and public forum on Wednesday, Oct. 9 at 7 p.m. at the community centre in Atikameksheng Anishnabek (Whitefish Lake First Nation). News headlines over the past few years have been full of housing crises, hunger strikes, public protests and the Idle No More movement. The national conversation about Canada's relationship with First Nations has reached a critical point. CBC News is examining the state of that relationship in Sudbury and northeastern Ontario — and you are invited to be part of the conversation. "Thanks to the Idle No More movement, First Nations' issues are making headlines more and more across the country," Schwabe said. "But there needs to be a community discussion on how we can all live together, and I hope this forum starts that conversation." The panelists will share their experiences living and working in Atikameksheng Anishnabek and Sudbury, and what they think can be done to improve the relationship between First Nations and other Canadians. Portions of the forum will be broadcast the following week on Morning North. Atikameksheng Anishnabek Elder Art Petahtegoose has watched the relationship between his community and Sudbury evolve over the years. He said the understanding about Aboriginal culture and history has grown, but he still feels there are divisions and misunderstandings between the communities. "I'm always conscious of leaving my 'house' in terms of the reserve, in terms of my Indian home, for lack of a better word," he said. "We are like other people. We want to have a secure future. We want to have a happy life." 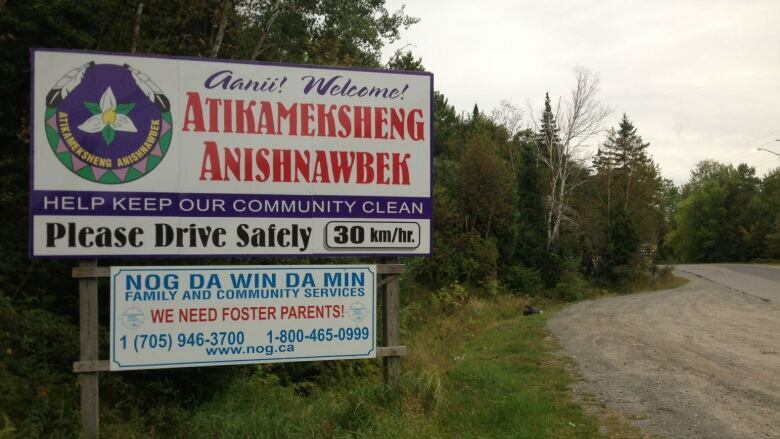 The CBC News public forum in Atikameksheng Anishnabek will also kick off a series of stories on Morning North exploring Aboriginal issues, including a look at life off-reserve, land claims in northeastern Ontario and a new generation of First Nations leadership. 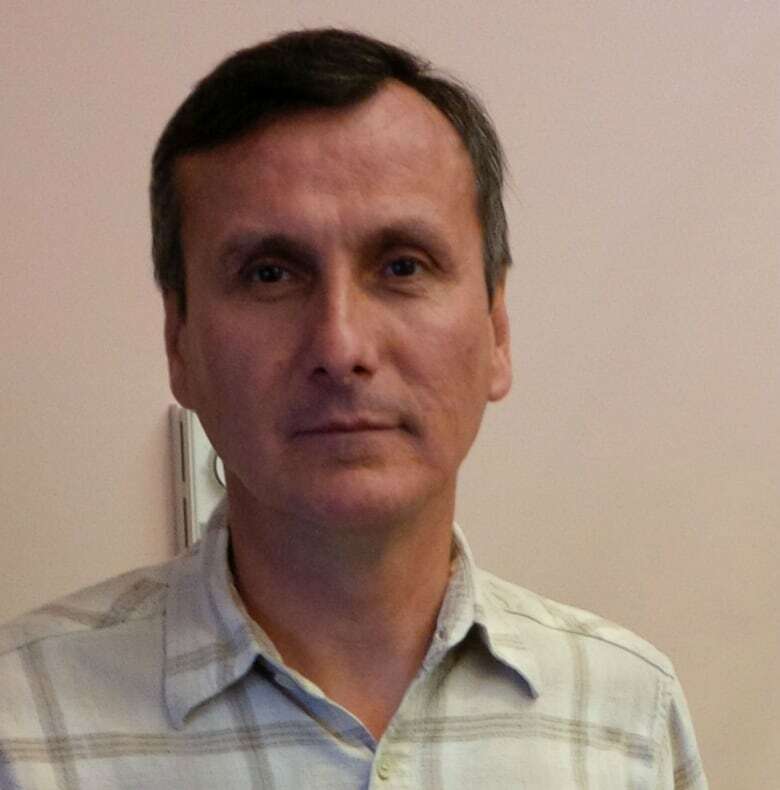 Steve Miller is the chief of Atikameksheng Anishnawbek. Miller was born in Pembroke to an Aboriginal mother and non-Aboriginal father. Miller grew up in Naughton and lived and worked off-reserve before returning to his mother's home community of Atikameksheng Anishnawbek. He was elected chief in 2008. John Rodriguez is a long-time Sudbury resident and educator. Rodriguez served as the member of Parliament for the riding of Nickel Belt in the 1970s and 1980s. 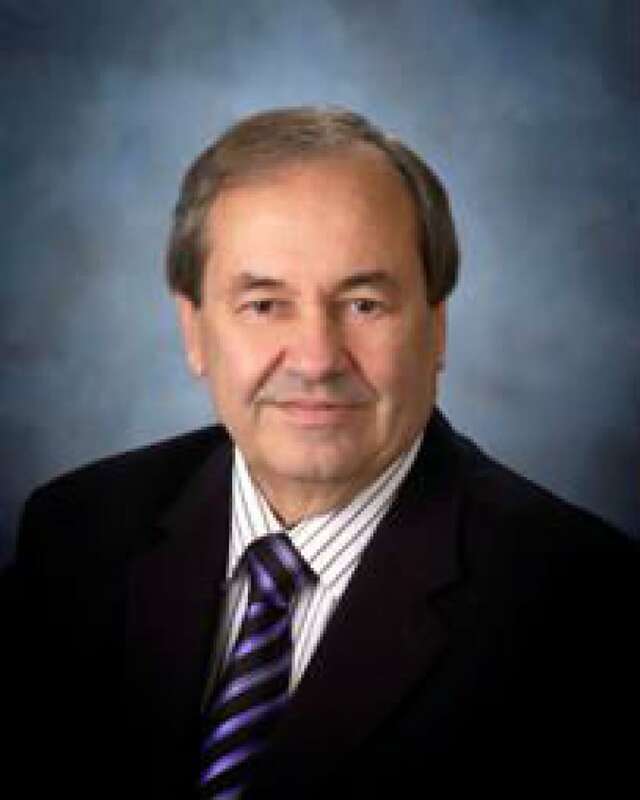 Most recently, he served as Sudbury's mayor from 2006 to 2010. 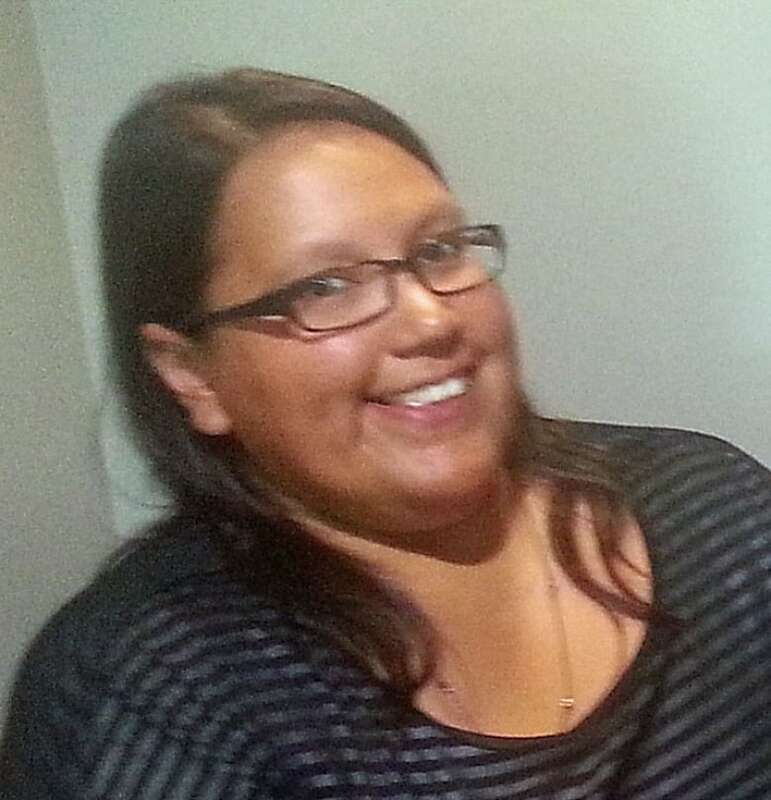 Darlene Naponse is a filmmaker and from Atikameksheng Anishnawbek. Her company Pine Needle Productions has produced films such as Every Emotion Costs and Cradlesong. They feature cast and crew from the First Nation. Naponse's films have screened at key industry events such as Sundance Film Festival and have been broadcast on Aboriginal People's Television Network and Women's Television Network. 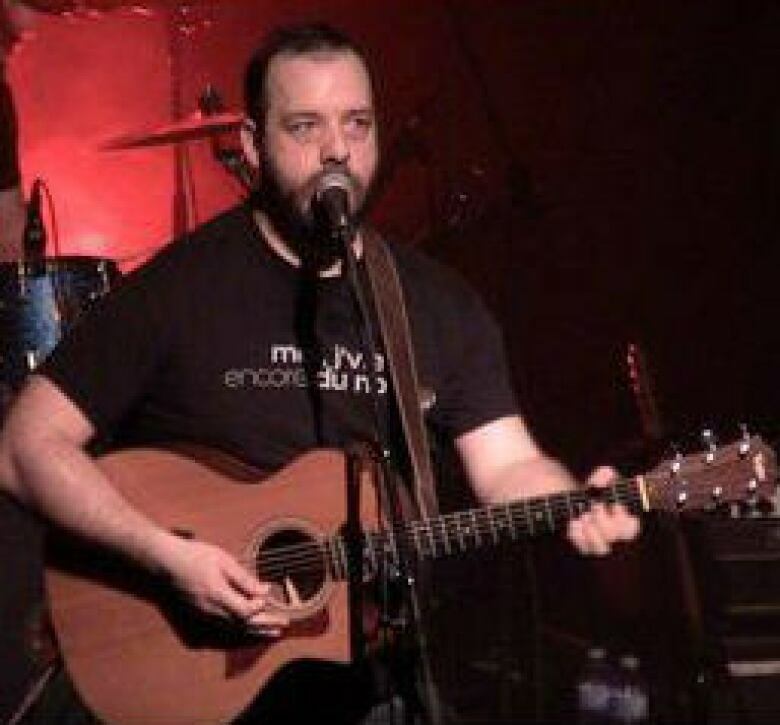 Stephane Paquette is a Sudbury-based actor and musician. His wife is a member of the Sagamok First Nation, near Massey. He says his is the perfect Canadian marriage: a francophone man and an anglophone First Nations woman.